"After reading this book, I wonder if I've been missing out all these years because I usually skip introductions. But then again, this is Neil Gaiman we're talking about, and I've never encountered one of his until now. We’d love your help. 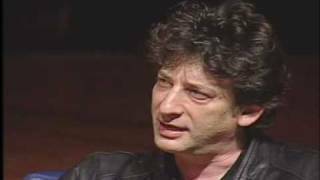 Let us know what’s wrong with this preview of The View from the Cheap Seats by Neil Gaiman. "Some of the pieces made me cry. Some made me wonder. Some inspired me. 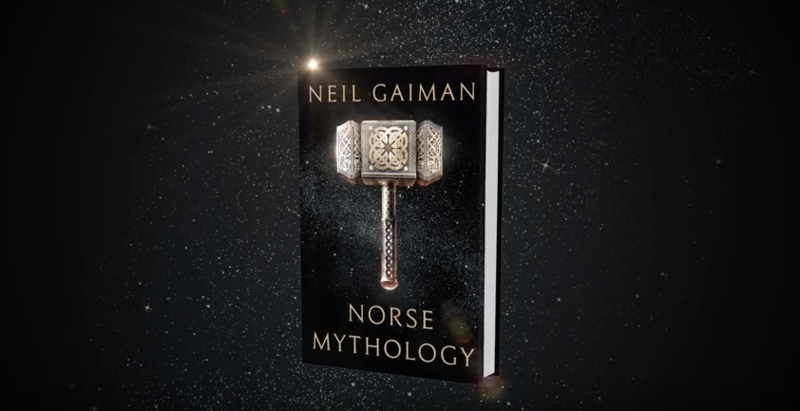 Having them read by Neil Gaiman rocked my world. " "It's truly lovely when one of your revered authors is also a wonderful human being. For me, Neil Gaiman's one of those writers. Neil voted for Vengeful (Villains, #2) as Best Science Fiction in the Final Round of the 2018 Goodreads Choice Awards.
" https://www.goodreads.com/interviews/... -- I was thrilled to hear that TRIGGER WARNING had won the GoodReads Fantasy Award. This is the interview I d https://www.goodreads.com/interviews/... -- I was thrilled to hear that TRIGGER WARNING had won the GoodReads Fantasy Award. This is the interview I did, with GoodReads questions... ...more "
Neil made a comment on Do YOU want save THOUSANDS OF DOLLARS while DOING GOOD? Er, and also get some interesting things to read.
" Selena wrote: "Done and done. Yesterday. 8) I seriously fan-girled when I saw this bundle. Thank you so much for this opportunity to read your stuff an Selena wrote: "Done and done. Yesterday. 8) I seriously fan-girled when I saw this bundle. Thank you so much for this opportunity to read your stuff and do help charity at the same time <3"
You are so welcome. Thank you for getting it! Spread the word. (It isn't up for long.) ...more "
Get ready, I'm a bit of a rambler and am fangirling my pants off. Firstly, Neil, I grew up with your daughter, Maddy. We were a few years apart in school and never were ..."
Thank you! Maddy remains amazing and a delight. I'm so sorry to hear about your brother, and glad that Amanda's book is helping. ...more "
Over 50 years ago Alan Garner wrote The Weirdstone of Brisingamen and its sequel, The Moon of Gomrath, two books of magic and myth, featuring the children Colin and Susan. They encounter a wizard who guards sleepers beneath the hills – Arthur and his knights, perhaps – sleepers who will wake to save us in our time of greatest need. The children encounter elves and dwarfs, goblins and killer cats, battle the evil shape-shifting Morrigan, and make their way through a patchwork of mythic events and battles, culminating, at the end of The Moon of Gomrath, with a Herne-like Hunter and his men riding their horses to meet the nine sisters of the Pleiades, leaving Susan, who needed to be with them, behind, wanting to go the stars, and Colin only to watch. There was to be a third novel of Colin and Susan, but for fifty years Garner did not write it. In Boneland, he also does not write it, although he describes it, implies it, tells us its shape. Instead he gives us, what? A fourth book? A coda? Either way, it is an adult novel about loss and history and memory and mind, a link between the present and prehistory, a place where everything Garner has made before comes together. Colin has grown up to be a brilliant, but extremely troubled, astrophysicist. Susan is not there. Colin is autistic, has problems with memory (he remembers everything after the age of 13, nothing before), cannot relate to other humans, is searching the sky for intelligent life, and hunting for his sister in the stars. As the book begins he is being released from a hospital after some kind of breakdown. Boneland is a realistic novel of landscape, inner and outer, past and present. It becomes a novel of the fantastic toward the end: perhaps old magics have risen to show Colin the way out, perhaps he has conjured them himself as he confronts his demons and his pain. I do not know if the conclusion of this book makes sense if you have not read the first two books, and I am not entirely certain whether reading the first two books will make it easier to read this one. Boneland demands a lot of the reader, either way. But it returns more than it demands. The characters are well drawn – Meg, the too-good-to-be-true therapist and Bert, the salt of the earth taxi driver, linger in the memory long after the book is done. The Watcher, who provides the novels alternate point of view, gazing out from the caves of prehistory, gives us an affecting and powerful look at a mind ten thousand years away, and a way of looking at the world that is not ours, or Colin's. As the Watcher story intersects with Colin's story, the Weirdstone novels also conclude (although they conclude in negative space, as if we are seeing the after effects of events in a book unwritten) and Colin's story concludes with them. Trying to express how and why Alan Garner is important is difficult. He does not write easy books. His children's books were powerful and popular, but never easy or comforting; his adult novels are lonely explorations of present and past. He is a master of taking the material of history, whether myths and stories or landscapes and artifacts, and building tales around them that feel, always, ultimately, right – as if, yes, this was how things were, this is how things are. He is a matter-of-fact fantasist, who builds his fantasies solid and real. Boneland feels like the book you write when you can no longer muster the belief in magic to write about elves and wizards in caves, but you can write about the older magics, the flint-knapping workings of ancient times, and you can believe in the power of the mind, and the crags and caves and outcrops, you can believe in the landscape, because the landscape is always there. And you can still believe in sleepers under hills, believe in the legend of the wizard buying a horse that began The Weirdstone of Brisingaman. The words Garner chooses, carves, inserts into his prose are perfect. He deploys short, accurate words better than anyone else writing in English today, and he makes it look simple. Thank you all for voting THE OCEAN AT THE END OF THE LANE Best Fantasy Novel 2013. I'm really pleased. I was thrilled to see that I have three different books nominated as Best Books in the GoodReads Choice Awards. What a nice thing. Thank you all. Blog post where I discuss fan-girling at your Coral Gables signing. I read The Ocean at the End of the Lane while I waited in the line and it was wonderful. Poignant, imaginative... everything I expected and more!! Hello dear sir. I happen to stumble upon this online and thought it was the most funniest thing. It's a story about you and your hat....oh and also time travel! OMG you're my friend on here...such a honor. You're such a inspiration to my writing. Not sure how often you read these, but worth a shot. I'm sure you've answered this question at some point but I've never come across it. I, like many others, love the work you did on Sandm..."
Update: 7/13/12 - Looks like you do. Great to hear the Lord of Dreams is on the horizon again. You're an incredible inspiration to me as a writer, even as a daydreamer. I just wanted you to know that. Thanks for the friendship. Hope you're having an amazing day. Thank you for accepting my request! I love your work so much! Thanks for accepting my friend request >^..^< please keep writing, it gives us all something to read that's worthwhile. I, like many others, love the work you did on Sandman. And like anything people love, the question of "will there be more?" is asked. I think the book works great in its form and is complete and extensions aren't necessarily needed, and I know a lot of authors like to move on and not look back. However, with Endless Nights and the Sandman novel you wrote, it makes me wonder if you still kick Sandman ideas around. So regardless if there will be more, do you find yourself revisiting these characters and ideas? restrictions and false suppositions instead of enjoying life freely. our eternal development and evolution. I call this process “living”. 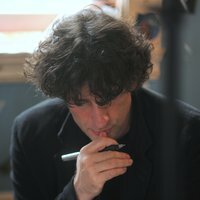 Happy belated birthday, Mr. Gaiman. A Goodreads Apology: I had friended over 9000 people. The new Goodreads system unfriended 4000 of those people on my behalf. I hear on Twitter they're trying to fix that. I hope they do. I'd like the friends back. The West Coast Tour. PORTLAND is already Sold Out. Tickets go on sale Sunday 9/18 at 10AM PDT. I was wondering if you are going to be coming to New England anytime soon??? Thanks for accepting my friend request! I really enjoyed "The Graveyard Book" and plan on reading a lot more of your stuff! Thanks for accepting my friend request! I've loved your books since I read "Neverwhere", your writing is awesome! Thanks so much for accepting my friend request, and for your fantastic Doctor Who episode! Love your work! Thank you so much for the add! I am a huge fan of all your work, and thoroughly enjoyed your Doctor Who episode. Thank you for accepting my friend request! You are a much respected author. Kudos on the Doctor Who episode, it was quite good. Whats not to like when my favourite author and favourite t.v show are combined? It is hidden and obscure, it is an obvious sign. We know not, we know not, this complex chaotic design. Such fate no-one can defy. To that city past skies seven. The House of Songs is our end. Else vengeful fits are thrown. In the creed of Love is being misled. Ain’t but a sign pointing to the Beloved. Alas that beautiful beloved where hence? Alas that graceful Goddess where hence? Where hence, alas, without us where hence? Beloved left at midnight, where hence? Thank you very much for the friendship on Goodreads, Mr. Gaiman. I was given Anansi's Boys to read by a friend a few years back and, since then, cannot get enough of your writing! I always look forward to the very next book that is released. Growing up, I have always wrote fiction. For quite some time I did not pursue writing, thinking that it was a lost cause. Now, I know better. Your work has inspired me to continue writing my dark fiction! I do hope to meet you one day and shake your hand. It will surely be an honor! I saw your talk with Audrey Niffenegger a few weeks ago, at the Harold Washington Library here in Chicago. I left with my head full of bells & chimeras, like it hasn't been in ages. Immediately went home, joined Goodreads, and began blogging again, something I haven't done for many years. It feels really, really good. Thanks Neil. At any rate, I very much enjoyed getting to hear you read, and I look forward to the next time you're in Chicago for an event. thanks for the add! love your books esp. American Gods and Good Omens! keep up the great work! Thanks for the add! Love your work! My 9 year old son LOVED Coraline! You are one of my favorite authors! Thanks for the friend acceptance. I love American Gods. I just started reading The Sandman series for the first time (I hear way too many good things about it). Love it so far.